The resignation of Sharif Hassan Aden, former president of Somalia’s South West (SW) regional state, was supposed to ease tensions during the presidential elections. However, as Somalis aptly say, “Ayax teg, eelna reeb” (The locust flew away, but it left hardship). There has been turmoil in the region as the elections, which were supposed to take place on November 17, 2018, have been postponed, for the second time, to December 5. There is a growing fear that the new scheduled date may yet be put off due to fear of procedural roadblocks and heavy-handedness on the part of the federal government. The federal government and local SW politicians agreed on one thing: the removal of then-president, Aden. Unfortunately, afterward, discord emerged as to who should be selected for president. 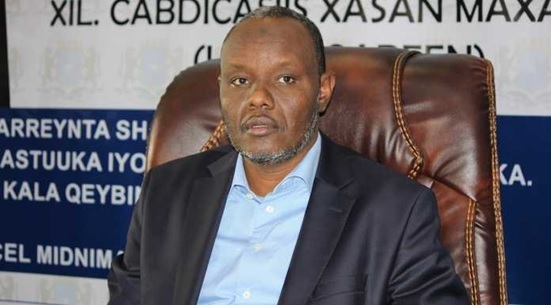 The Federal Government of Somalia (FGS) in Mogadishu has clear goals: It wants to install its own man as SW president, make plans to influence the 2020 federal elections, and weaken the regional states—a thorn in the side of the federal government. To accomplish its goals, the FGS has been trying to influence SW’s Electoral Commission (EC) to introduce procedural hurdles that will make it difficult for one major presidential candidate to legally stand for the elections. The FGS has its man in Abdiaziz Hassan, better known as “Lafta Gareen.” He is a federal parliamentarian, an ally of Somalia’s president, Mohamed Farmajo, and a man some critics accuse of lacking independent streak. On the other hand, the federal government has been trying to prevent Mukhtar Robow, a former leader of Al-Shabaab, to run for elections. A year ago, Robow defected from the Al-Shabaab terrorist group and has cooperated with the federal government and its Western allies. He was in Mogadishu under the protection of federal security services until last month, when, with the support and the blessing of the federal government, he flew via private plane and landed in Baidoa, the current seat of the SW regional government. In Baidoa, he announced his candidacy for the presidency of the SW.
A few days later came the bombshell: an official, unsigned federal letter was issued banning Robow’s candidacy. Robow and many SW residents were blindsided by the letter and, instead of derailing his candidacy, the letter made his popularity skyrocket. Robow was welcomed with open arms by Baidoa residents and many of its elites. There were reports that the United States representatives in Somalia reprimanded the FGS, demanding they ease the pressure on Robow. Washington saw Robow’s candidacy as a better option for the troubled SW region where Al-Shabaab controls a large swath of territory. In short, Robow is seen by some as a political leader untainted by corruption and someone who can bring stability to the region because he is well-versed with the tactics and inner workings of the militant Al-Shabaab group. A group of elders, women, intellectuals, and politicians like former speaker Mohamed Jawari has endorsed Robow as the best candidate who can bring change to the region. What made the FGS change directions regarding Robow? Perhaps, the 2020 federal presidential elections is the reason. President Farmajo has been in office for the past two years, but he is already gearing up for re-election. Against the backdrop of the 2020 federal elections, President Farmajo calculated that he needed a reliable, malleable, and loyal man who can deliver the SW votes, someone who can arm-twist, coax, and cajole the 70 federal parliamentarians from the SW when the elections take place in 2020. Robow, in essence, is his own man and will be interested more in consolidating his power base than becoming a proxy for President Farmajo. Last month, the federal government brought more than 100 SW legislators to Mogadishu and handed each $5,000. The move angered a dozen members of the SW’s Electoral Commission, who resigned in protest. These resignations were a golden opportunity for the federal government to manipulate the electoral process in favor of its man, Lafta-Gareen. 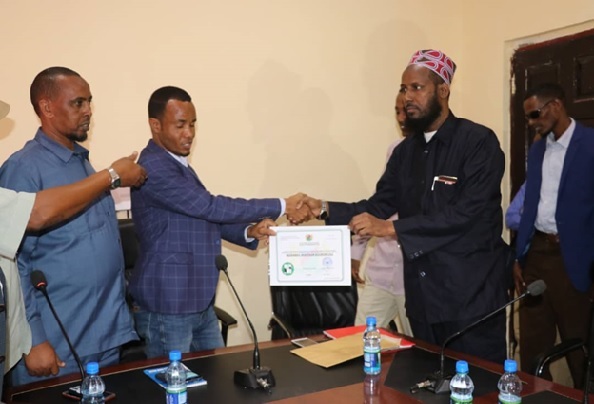 The new members of the EC have been struggling to institute procedures for the presidential elections as they have been pressured by both the FGS and the Acting President of the SW, Abdulkadir Sharif Sheikhuna, to find ways to ban Robow from running for office. There is fear among federal officials that Robow will defeat Lafta Gareen, but the EC has so far weathered mounting pressure to bar Robow from the elections and gave him a certificate allowing him to run for the elections. Robow has been pardoned by President Farmajo, and he is no longer on the sanctions list of the US and United Nations. Moreover, the $5 million bounty on his head placed by Washington has been rescinded. There is fear that the SW elections might lead to violence and instability. The resignation of Aden, the former president of the SW, was not the end of his political influence in the state. He has his supporters and cronies still entrenched in the bureaucracy. Moreover, the new Acting President, an ally of Aden, also wants to carve his own niche with the federal government. Reliable sources have told me that the Acting President has been promised he will replace his father in the federal parliament once the latter resigns. There are credible reports that the Acting President met with members of the EC on November 19 in violation of the rules and regulations of the electoral process. The federal interference in the SW elections is a manifestation that Mogadishu does not care much about the real issues affecting the region’s residents—lack of security, disconnect from the capital, Mogadishu, youth unemployment, bad governance, and corruption. It is more interested in spending millions on bribing legislators, shipping in a bullet-proof car for Lafta Gareen, and sowing discord and divisions among clans. Mogadishu’s attention span is limited to regional and federal elections, and it will be soon heard from, once again, in the 2020 federal elections. In the meantime, for many SW residents, it will be business as usual—fear of Al-Shabaab, a regional government without a capacity, and a state president doing all the bidding for Mogadishu.